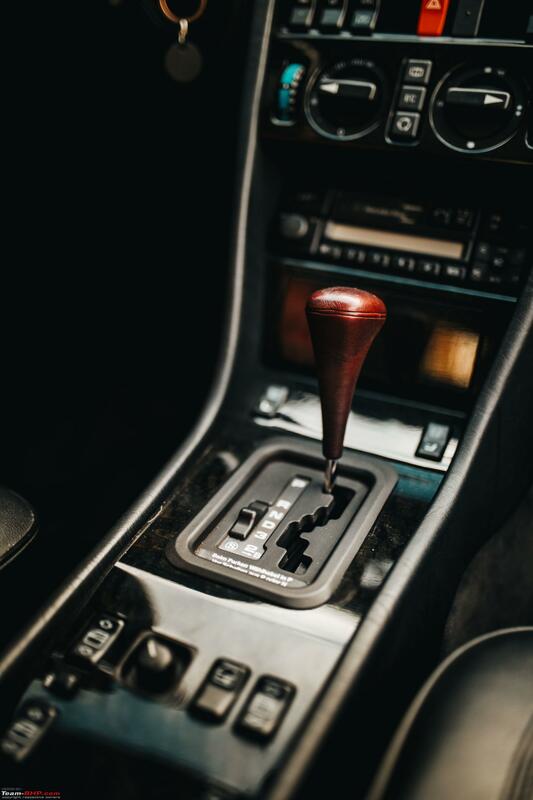 For all us Mercedes Benz fans, the W124 E Class holds a special place, with its beautifully elegant and simple design which was coupled with bomb proof engineering. 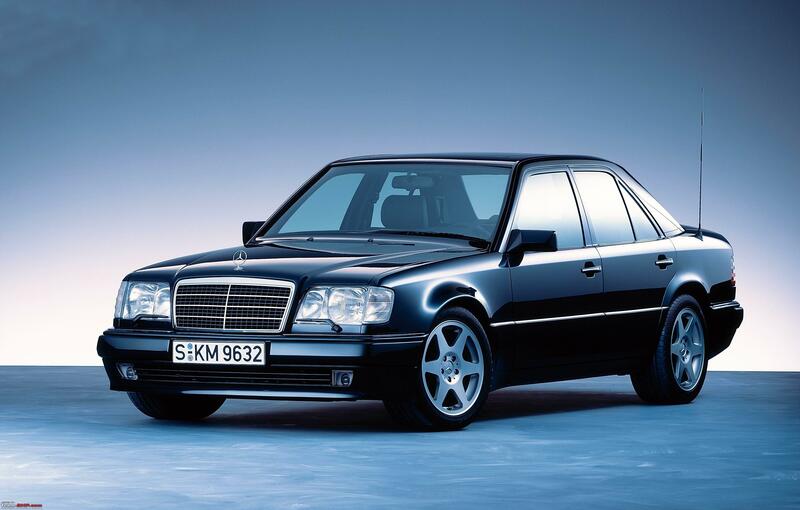 A proper luxury sedan in its standard variants, it was the Mercedes-Benz E 500 high-performance saloon, however, that lays claim to being the most iconic of W124 variants. 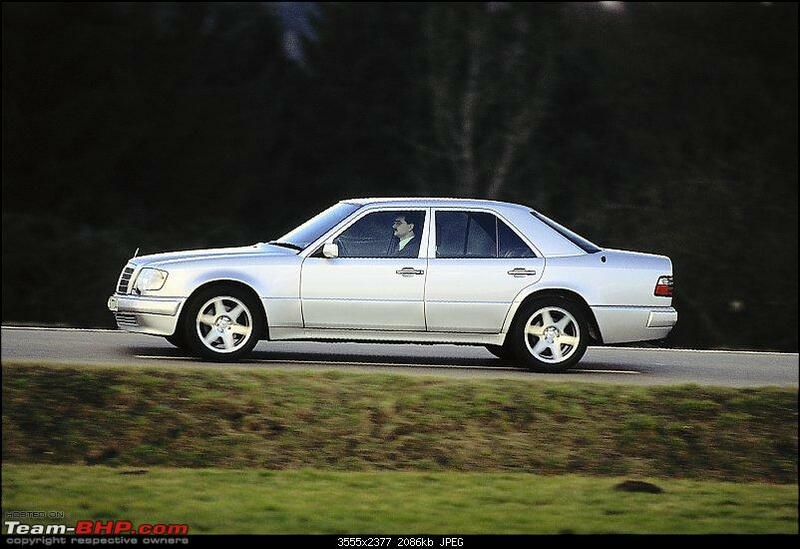 This V8 saloon with sports car performance is now a coveted Mercedes-Benz young classic, with its subdued (read Classy!) exterior styling and eye-watering performance. In a five year production run from 1990 to 1995, only 10,479 built (a figure that also includes the E 60 AMG). Cars built between 1990 and 1993, were designated as the 500 E and this was changed to E 500 for cars built after 1993. Production of the E 500 ended in April 1995 and only Left Hand Drive (LHD) models were ever made. The E 500 was eye wateringly expensive, the first 500 E cost 134,520 deutschmarks – more than twice that of a standard 300 E. By the time production ended in 1995, an E 500 cost 145,590 deutschmarks. In the USA, the E 500 cost an average of $80,000, over its period of sale, with only 1,505 officially sold. If you think this is expensive, then get ready for this! 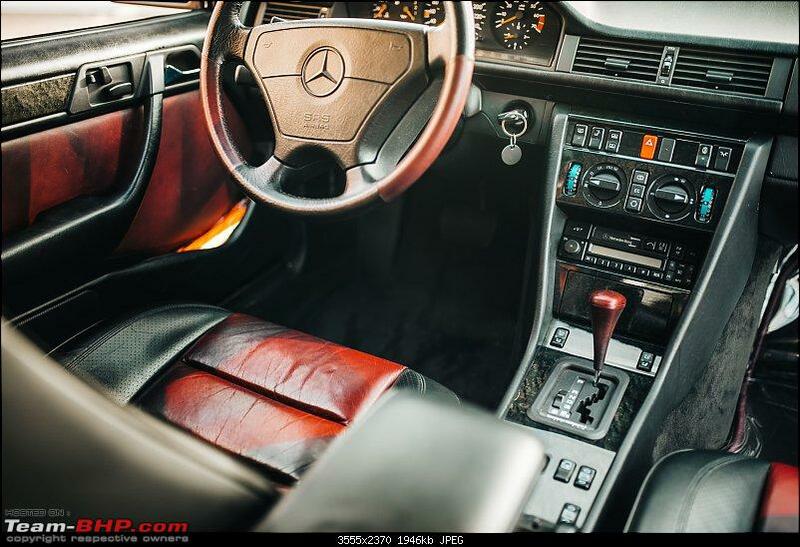 AMG’s 1987 Hammer which was the inspiration for the 500 E, cost $161,000 in 1987! Road & Track Drive Flashback: 1987 AMG Hammer - A Mercedes four-door that runs like a Ferrari Testarossa? Eat your heart out, Sonny Crockett! But the ‘Mother of All W124s’ tag must go to a special model of the E 500 that was first announced 25 years ago in March 1994. Presented at the that year’s Geneva Motor Show, the E 500 Limited special model caused a stir. As the name suggested, it was limited to only 500 units, making it extremely hard to come by today. if you are looking for one of the rare E 500 Limited units from 1994, you really do have to be lucky and it would be an extraordinary find amongst Mercedes-Benz young classics. The E 500 Limited was available only in either sapphire black or brilliant silver. Its alloy wheels were styled in the design of the 190 E 2.5-16 Evolution II wheel set. 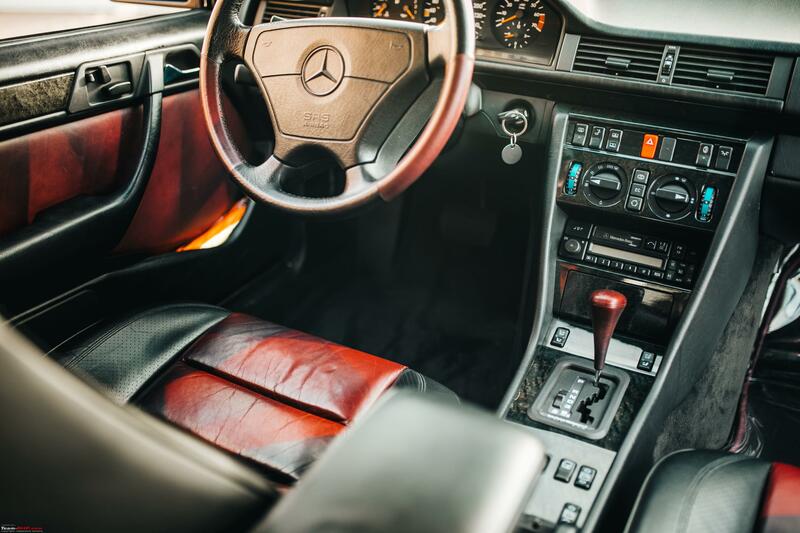 This most special of all W124s, featured a customised interior colour scheme, that was available in grey, green or red leather, black bird’s-eye maple or burr walnut trim. The E 500 Limited also set high safety standards, with airbags for the driver and front passenger, an anti-slip control system (ASR) and an anti-lock braking system (ABS). Cutting edge safety tech at the time. Here’s what its brochure said, “It’s just a good feeling to know that there are only 499 other aficionados who can call this car their own.” “After all, although it is extremely sporty, it is a Mercedes through and through. Albeit quite an extraordinary one.” You got that right, Mercedes. Why 499 and not 500? 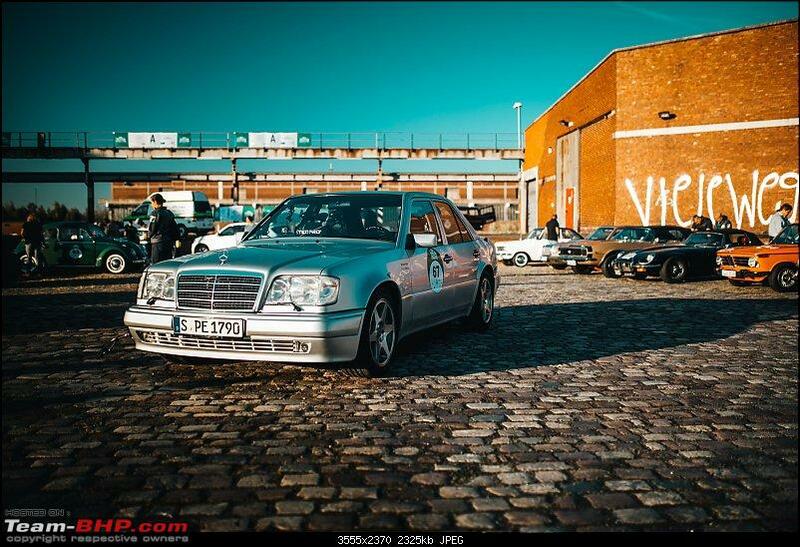 It is because the very 1st Mercedes-Benz E 500 Limited special model was presented on October 10th, 1994 to former Mercedes-Benz Formula 1 racing driver Hans Herrmann! Herman was a former Mercedes-Benz works racing driver in 1954 and 1955. 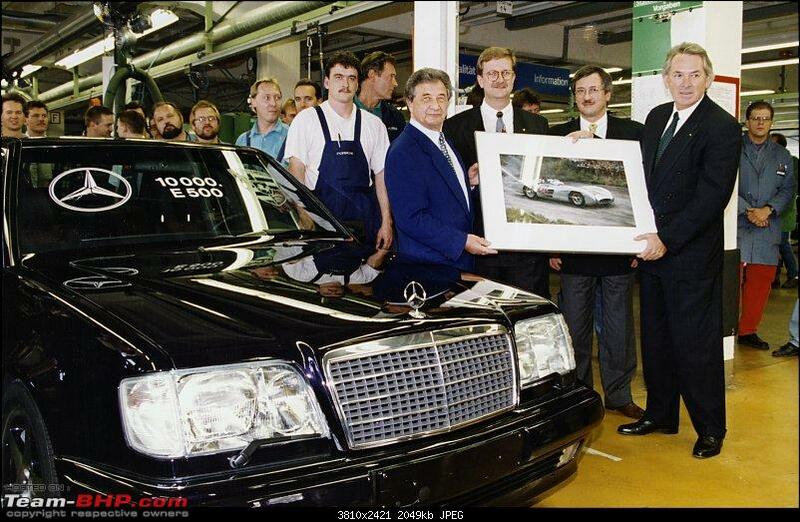 His car was also the 10,000th E 500 built since the V8 sports saloon's premiere in 1990. He received his car at the Porsche plant in Zuffenhausen, where the E 500 was assembled. Last edited by Redline6800 : 21st March 2019 at 14:00. 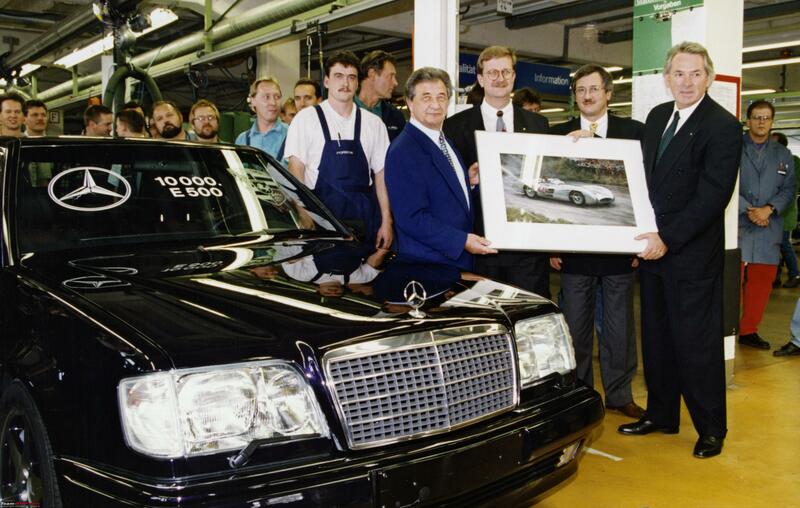 Mercedes-Benz presented the E 500 as its new top model of the 124 model series, at the Paris Motor Show from 4 to 14 October 1990. Powered by a 5.0-litre V8 engine and marketed as the 500 E from 1990 to 1993, the car was available with 326 hp but from October 1992, this was reduced to 320 hp, in order to reduce both fuel consumption and pollutant emissions. Famously considered as high-performance vehicle in a tailor-made suit, the 500 E was the perfect sleeper can and could only be distinguished from its sister models, when you gave the automobile a second glance. The only exterior changes, were, slightly more pronounced wing arches, a body which sat 23 mm lower and a modified front apron with recessed fog lights. 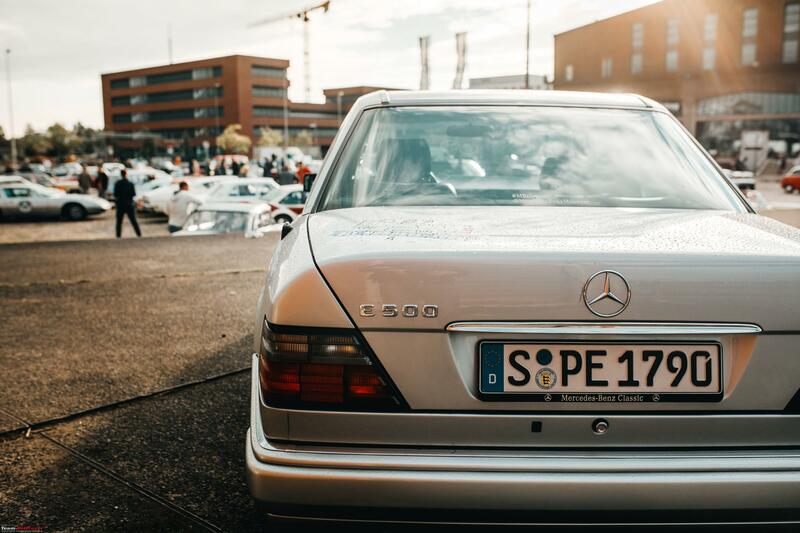 But be in no doubt, this was no ordinary W124. More than a quarter of a century ago, the performance of the 500 E could only be considered as extraordinary. The 500 E accelerated to 100 km/h in just 5.9 seconds with its standard four-speed automatic transmission. The engine and four-speed automatic transmission were taken from the 500 SL. Here is what Auto, Motor und Sport (Germany) said in its Issue No 25/1990: "As forgiving as a fairy-tale uncle, as agile as a fast sports car, and comfortable as well? Yes indeed, that is the most surprising aspect of this suspension system. Despite the taut setup, the springs and dampers absorb surface irregularities in such a well-mannered way that even very demanding occupants have little reason to whinge." Last edited by Redline6800 : 21st March 2019 at 14:01. The M 119 four-valve V8 engine displaced 4,973 cubic centimetres and differed from the from the 500 SL version in part by the electronically controlled Bosch LH-Jetronic injection system with hot-wire air mass measurement, which was used in this car for the very first time. The 500 E was the first car to feature what was known as the "standard deck" engine – the same crankcase was used for both the 4.2 and the 5.0-litre unit. Hence the 5.0-litre engine was 16.5 millimetres lower on the 500 E, as compared to when this engine made its debut in the 500 SL (R 129) a year and a half earlier. Shorter connecting rods ensured that the bore-stroke ratio remained the same. The previously used mechanical/electronic KE system was replaced with a Bosch LH-Jetronic injection system, which featured electronic control and an air-mass sensor. Compared with the 500 SL, the 500 E had a shorter axle ratio (1:2.82), so benefiting acceleration. Top speed of both models was electronically limited to 250 km/h. Despite, its performance, the engine was reliable and as per reports on the internet, European owners, completed 300,000 to 400,000 miles on these engines. Porsche built the 500 E at its factory in Stuttgart-Zuffenhausen on behalf of Mercedes-Benz, in what was considered then, as a unique arrangement. 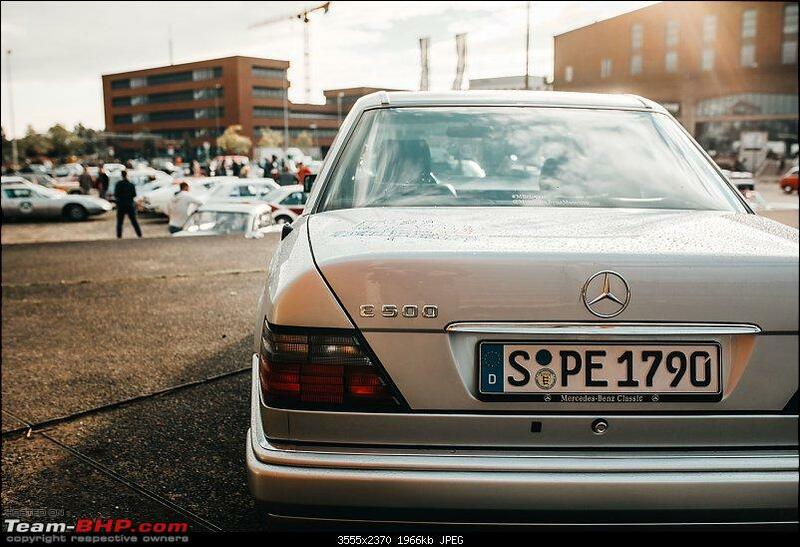 Mercedes Benz at the time found its development capacity stretched and its hands full with the development of the all new W140 S Class and hence Porsche was brought in to speed things up (pun intended), when the programme got underway in 1989. Porsche was part of the 500 E project right from development and when it came to series production, the comparatively small unit quantity of the 500 E fitted in very well with Porsche’s production processes. For Porsche, which was going through a lean patch in the early 90’s, the production order for the 500 E was timely stroke of good luck. The 500 E was built at Mercedes-Benz’s plant in Sindelfingen and after the body-in-white was painted, it was shipped with components from the Sindelfingen and Untertürkheim plants for final assembly in Zuffenhausen. Apparently, it took 18 days for a single 500 E to be completed. 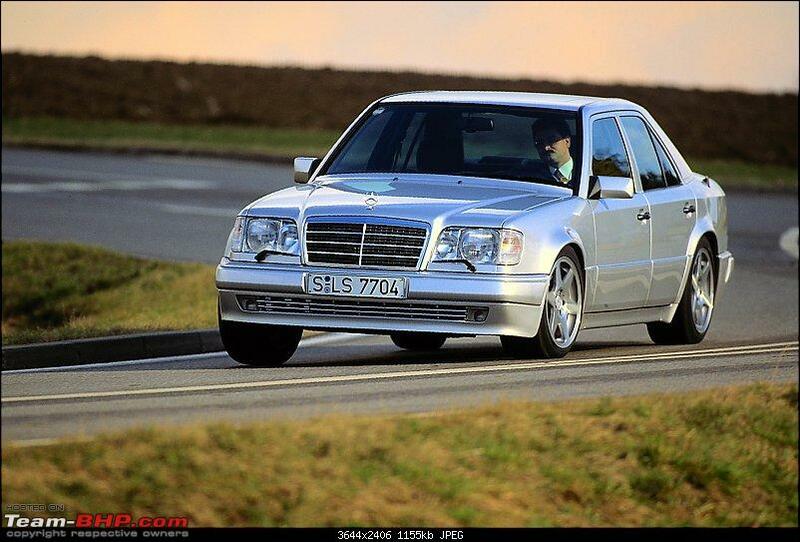 6 times more than a standard W124 E Class. 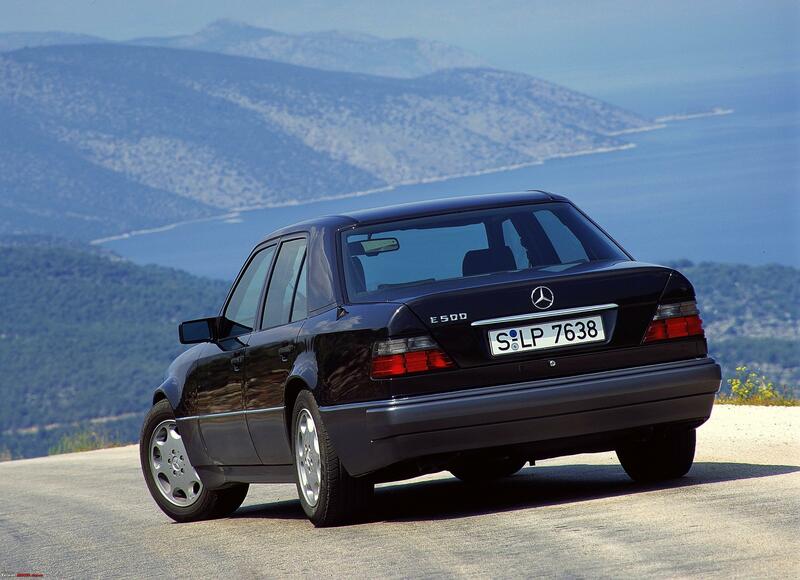 In 1993, the 500 E was the last model of the 124 model series to receive a facelift. 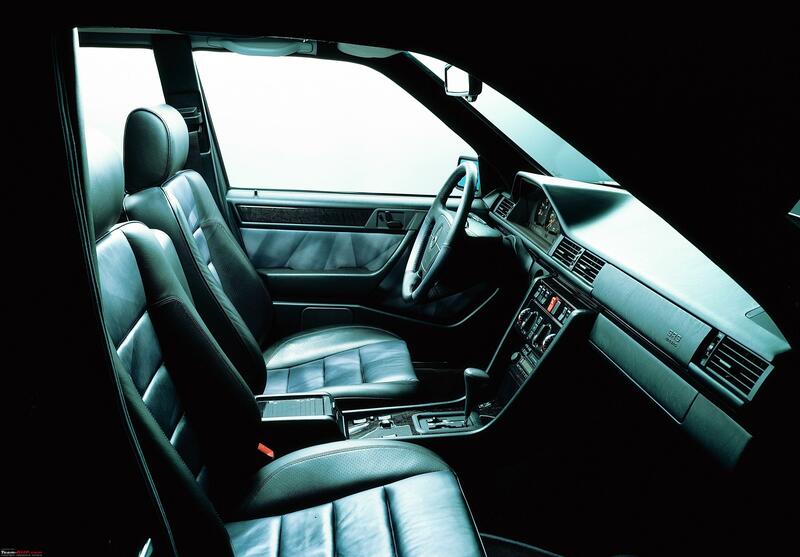 Remember, the W124 E Class was launched in 1984. Along with the facelift, came a change in nomenclature, to the Mercedes-Benz E-Class and hence the 500 E now became the new E 500. E or 'Einspritzer' in German stood for injection engine. The facelift which is familiar to those of us here in India, included an integrated radiator, colourless front turn signal cover lenses, two-tone covers for the rear lamps and the boot lid and the wings were given edges with a wider radius, while the area around the number plate was also modified. When production of the E-Class 124 model series ended in 1995, the E 500 was phased out as well. 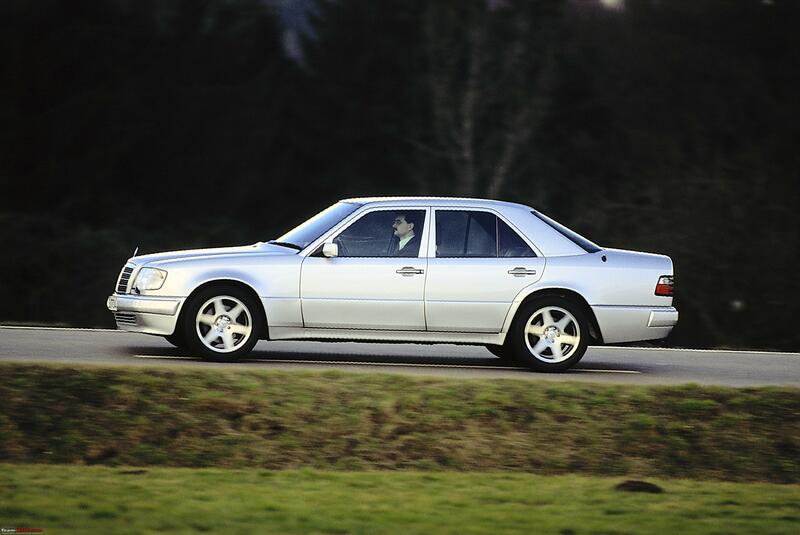 The W124 was replaced by the W210 model series, which was launched in June 1995. With the demise of the E 500, Mercedes Benz quenched the horsepower needs of its customers with its partnership with AMG. AMG was established by ex MB engineers, Hans Werner Aufrecht and Erhard Melcher 1967 and quickly established itself as a reputed tuner of MB cars. It was finally acquired by the car maker to create Mercedes-AMG GmbH in early 1999. I recall that Sachin Tendulkar had picked up a C36 AMG in the late 90’s. Today, the 500 E and E 500 are amongst the most coveted young classics of the brand with the star and really put on a show at classic automotive events. 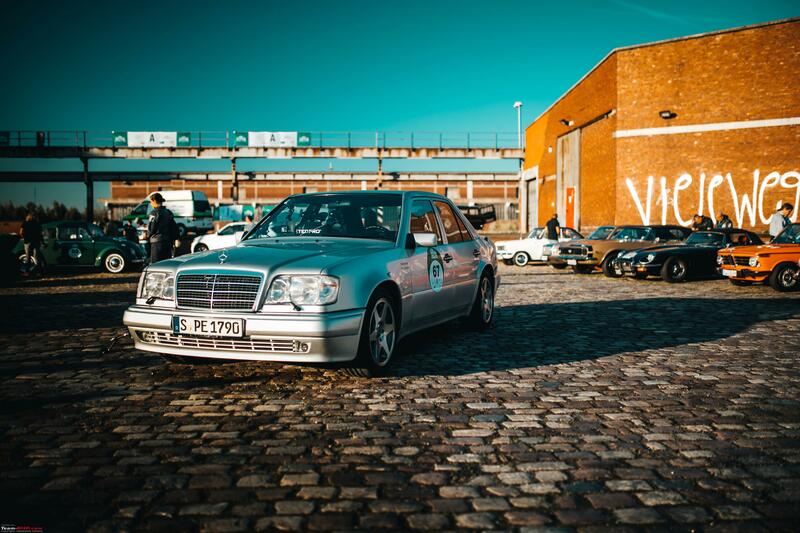 In September 2018, at the eleventh Hamburg-Berlin Classic Rally, an E 500 Limited from the company’s own Mercedes-Benz Classic vehicle collection was ready to roll. Are you a Mercedes Benz enthusiast looking to realize your dream of owning own high-performance saloon car from the 124 model series? Fear Not, ALL TIME STARS, the Mercedes-Benz Classic dealer, is on hand to help and its portfolio regularly includes 500 E and E 500 models. Just not sure, how it easy it will be to import the car into India though. Last edited by Redline6800 : 21st March 2019 at 14:06. An interesting snippet about the car was during the shooting of the film Ronin. E500's were used to tow the Peugeot and the BMW while shooting the in-car footage in order to create the actual speed and sense of fear! Love the write up. E500 did a big job in acting as a halo product for me. Ultimately it resulted in me owning 3 W124s! Still own 1, having sold 1 just earlier this week. 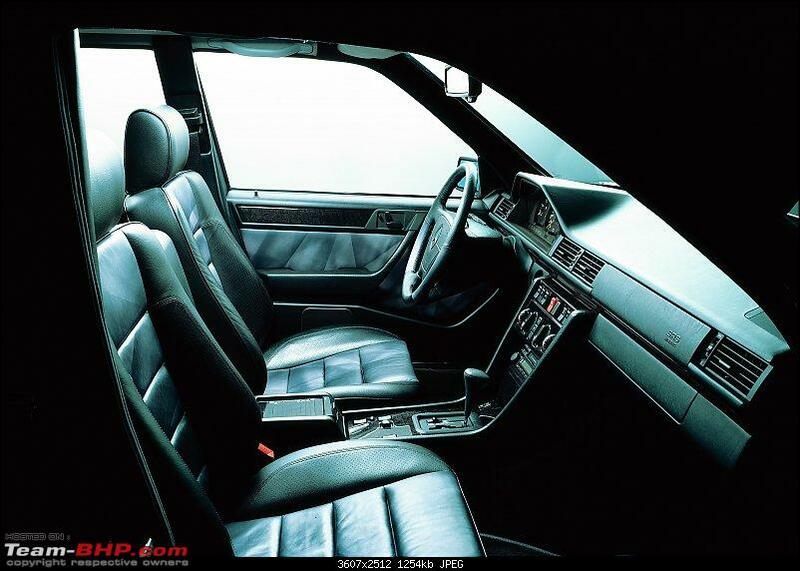 Great thread for what is an incredibly special sedan! A Mercedes built by Porsche . Damn, the car has aged so well. Even today, the W124 comes across as a handsome sedan. I know there are a lot of W124 fans in the country and won't be surprised if someone spots a E500 somewhere in India. That said, as much as I love this car, it was grossly overpriced & destined to fail (or politely, be "limited" in numbers). 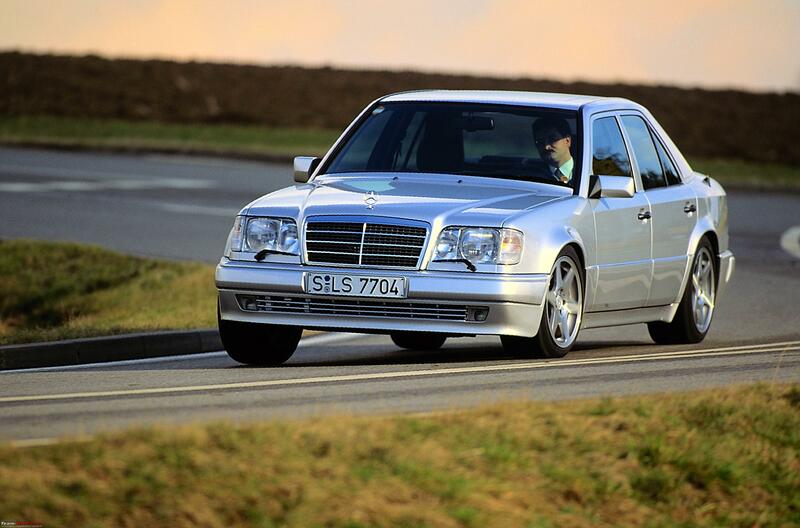 That money could buy you a Porsche 911...or Mercedes' own gangster car = the W140 S500. Nice blast from the past. For most of us, Merc is associated with w124 or w211 with its iconic oval quad headlamps. They still turn heads wherever they go. The one thought that resonates - they dont make them like this anymore ! The E500 represented probably for the last time, old-world Mercedes build language. 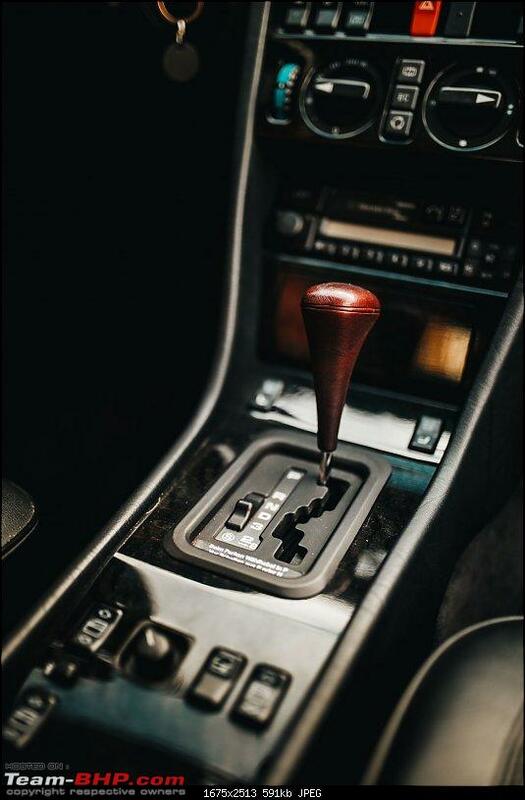 I bet even now, the switchgear in the pictured car probably feel like they'll last many more generations. I know there are a lot of W124 fans in the country and won't be surprised if someone spots a E500 somewhere in India. I've been on the W124 circuit for a decade now. Can say with near certainty that there isn't a 500E/E500 in the country. The biggest I've seen is a E420 (only one), which was just one step below. I know of at least 3 400Es. Plenty (less than 500 surviving, I believe) of 300Es around, I have one too. Last edited by Nitrous Power : 23rd March 2019 at 16:49. Mercedes puts out highly detailed releases, with some great pictures of their cars. Some great stuff has been posted on the G Class (40th anniversary), R 129 S Class (30th anniversary) and the C36 AMG (25th anniversary). I absolutely adore the Mercedes Benz models from the early eighties to the early nineties. But my all time favourite is the Mercedes 230 SL Pagoda from the sixties. Wonderful to see how these brands preserve their history and make sure they remain in the public memory.